Japanese carmaker Honda will not rush to launch an electric vehicle (EV) as it sees many hurdles for such vehicles to become popular in India. Instead, the company will raise its bet on hybrid technology and considers it the next step before electric mobility becomes mainstream in the country. People aware of the development said Honda along with Japanese carmakers like Suzuki and Toyota are lobbying with the Indian government to extend financial incentives offered for EVs to hybrid vehicles as well. Gaku Nakanishi, president and chief executive officer, Honda Cars India, feels there are three main hurdles that are to be crossed to make EVs profitable in India — infrastructure, affordability and range. “When we talk about EVs, we need to ensure that they are suited for the infrastructure, are in the right price range, and also give mileage like that of petrol or diesel variants. 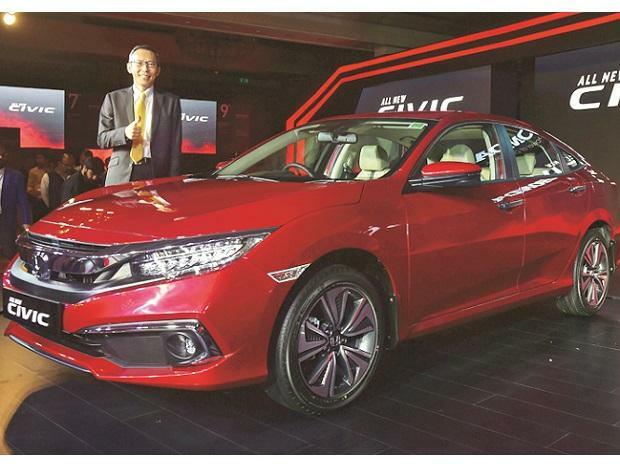 Considering all these, I think hybrid is a practical thinking for the Indian market right now,” Nakanishi said. The primary difference between a hybrid and electric is that the hybrid car derives some of its power from a conventional gasoline engine with an electric motor. A true EV gets all of its power from electrical sources and is a completely zero-emission vehicle. To curb costly crude oil imports and rising pollution levels, the Central government has been urging carmakers to invest in developing EVs. However, it has chosen to back only pure EVs. Last week, the government announced the second phase of the Faster Adoption and Manufacturing of Hybrid and Electric Vehicles (FAME-2) scheme with an outlay of ~10,000 crore for a period of three years, to push EVs in the country. It also plans to promote local manufacturing of lithium-ion batteries that can be used for both hybrid cars and EVs. Goel said they were still studying under which segment the first hybrid model should be introduced, but said it was clear they would like to launch it in the mass -market segment. Major Indian carmakers like Maruti, Tata and Mahindra have been bullish about the prospect of EVs in India. Some have even showcased their models. Maruti’s parent Suzuki Motor Corp has started testing 50 units of the electric variant of its popular hatchback Wagon R in India that is set to be launched in 2020.